As you may know, at Prairie School, we strive to empower students to become responsible community citizens by building an understanding of how their individual and collective actions make a difference in the world. But did you know that this understanding – and the empowerment that springs from it – is imparted early in primary school here? How early? – Well, as early as 3rd grade. For example, did you know that third graders at Prairie have been testing the water quality of a local nearby stream (which since has been named “The Prairie Stream”)? Did you know that the results of their tests have led to partnerships with agencies and organizations such as the Wisconsin Department of Natural Resources, Wingspread, Wisconsin Action Volunteers, and the Racine Health Department? And did you know that the ecologically focused efforts of our third graders, and the “sustainability in education” case study that they sparked, were recently presented and highlighted at a national conference in Seattle? Three years ago, Prairie School third graders, under the direction of their teachers, Mrs.
Mari Grobschmidt and Mrs. Kim Leinweber, participated in the annual Racine county beach clean-up initiative. But the students didn’t stop there. 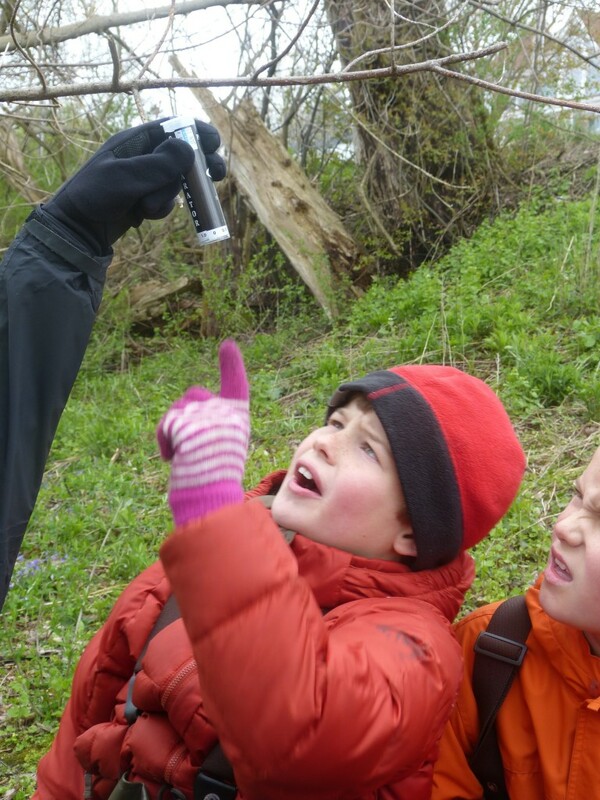 Working with and being instructed by Mr. Dizack, a Prairie parent, the third graders tested the water quality of the stream near the Shoop Golf Course that leads into Lake Michigan. They collected water samples and measured the level of oxygen in the water, as well as the level of turbidity (clearness), phosphates (PH), E-coli (a type of bacteria), and “macro-invertebrate” (i.e., tiny, living organism) quality. 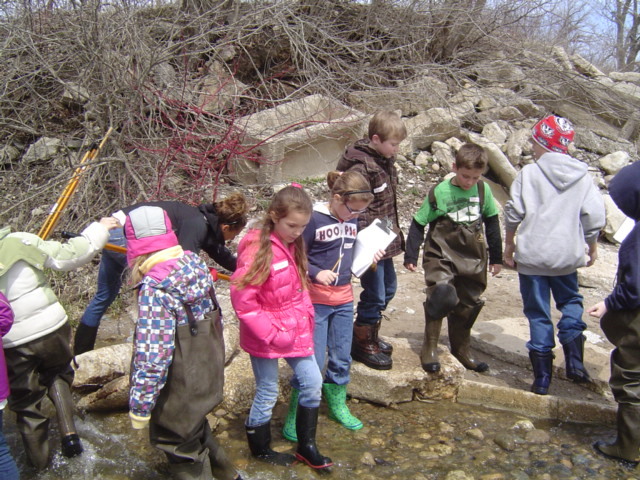 And third graders for the past two years have continued to monitor and measure the stream’s water quality – and to determine whether the stream is becoming “healthier.” And, along the way, the third graders have shared the results of their tests with the appropriate municipal, county, and state agencies. Before long, the story attracted national attention. When student-administered water quality test results revealed the poor health of a local tributary of Lake Michigan, the third graders at The Prairie School in Racine, Wisconsin were distraught and decided to take action. Discover how a rudimentary Great Lakes educational unit in the classroom spiraled into a multi-grade, interdisciplinary, service-learning project in which a school worked hand-in-hand with the Wisconsin Department of Natural Resources, local agencies and organizations, and communities to determine the cause of the stream’s poor health, and to develop plans to improve the stream’s water quality. The key principles learned in this workshop can be applied to any school – community project. And learn how the ideas and dedicated work of children can inspire change. How inspiring it is to realize that Prairie third graders are making a difference – not just in the local community but, now, across the country! The example they and their teachers have set is now inspiring similar “sustainability” consciousness and activism around the United States! Thank you, Prairie students, and thank you, Mrs. Grobschmidt and Mrs. Leinweber, for teaching us that everyone can make a difference. Indeed, we all are empowered to protect and sustain our natural environment – both now and for generations to come. This entry was posted in Primary School, Sustainability by prairieschool. Bookmark the permalink.